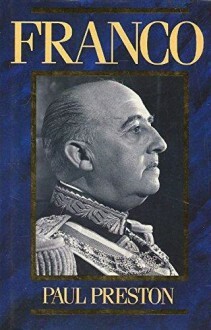 Generalissimo Francisco Franco, the Caudillo of Spain, was the most tenacious and most successful of twentieth-century Europe's great dictators. He is remembered widely as the astute general under whose leadership the Nationalist cause was victorious in the Spanish Civil War and the Communist threat exterminated, and as the head of state who skillfully negotiated safe passage for Spain through World War II, played Hitler off against the Allies, modernized his country, and orchestrated the Spanish economic miracle of the 1960s. By the time of his death in 1975, he had steered a unified Spain to worldwide respectability and envy and deftly schooled the young prince Juan Carlos to be his successor. To many, Franco was Spain incarnate—a heroic figure to match his illustrious—a heroic figure to match his illustrious predecessors El Cid, Charles V, and Philip II. This idealized portrait—still widely accepted today—is now subjected to Paul Preston's penetrating scrutiny. He has written a magnificent, monumental biography that vividly recreates the man and sets before us, unclouded by the prejudices or simplifications of apologists or adversaries, a definitive portrayal of this complex, elusive figure. The controversy about Franco's achievements has raged since his death. Just how good a general was he? Would he have won the civil war without German and Italian help? Can he be blamed for the bombing of Guernica and other atrocities? Did he dupe Hitler during World War II? Were his self-sufficient economic policies directly responsible for ushering in Spain's economic boom? Did he deliberately seek to liberalize the regime in his later years, or was he perhaps losing his grip on the controls? Did Franco preside over another Spanish golden age or did he merely stall and stifle his country's natural growth? How, in the final reckoning, are his achievements to be judged? Preston addresses and resolves, often to startling effect, these pivotal questions, deploying an enormous quantity of new evidence and fresh insights culled from previously inaccessible sources and unexamined witnesses, colleagues, and enemies alike. Paul Preston's credentials as the biographer of France are incomparable. His many books on modern Spain have been acclaimed for their seriousness and their stylishness, and this gloriously engaging biography is, in many ways, the culmination of his work of an intellectual odyssey of twenty-five years' duration, spent in the company of the Caudillo. Paul Preston sits in judgment on this enigmatic dictator, and his verdict will be compelling to anyone interested in the history of modern Spain or, indeed, in the formation of modern Europe.